The Besam PowerSwing is a fire approved electrohydraulic operator designed for a wide variety of applications. The most versatile and reliable operator It is suitable for almost all types of external and internal swing doors. 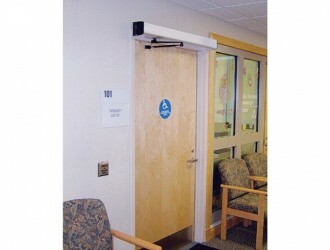 The operator can be mounted on either side of the door for pull or push action and is suitable for single or double doors. 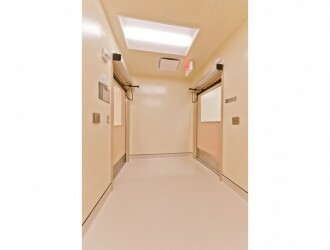 The Besam PowerSwing is just as suitable for disabled access, nursing homes and hospital corridors – where the requirements are for flexible operation and reliability – as it is for department stores, banks, hotels etc. with high density traffic and difficult operating conditions. Strong The Besam PowerSwing has been developed to cope with tough conditions. The motor operates quietly and is completely silent during the hold open time. The door can be held permanently open by using a programme selector. The electronics and the motor are discreetly housed in an attractive cover.